Quantum Bellator Fire’s journey at the ELEAGUE Major ended in brutal fashion. In the second quarterfinal match of the ELEAGUE CS:GO Major, the tournament’s single largest storyline came to a screeching halt. Quantum Bellator Fire, a team with little-to-no reputation, even within their own home region, successfully defeated Virtus Pro, mousesports, and reigning Valve Major champions Gambit to make it into the top eight of the ELEAGUE Major. But despite the team’s incredible journey through the group stage, regional rivals Na`Vi put an end to the tournament’s Cinderella story. 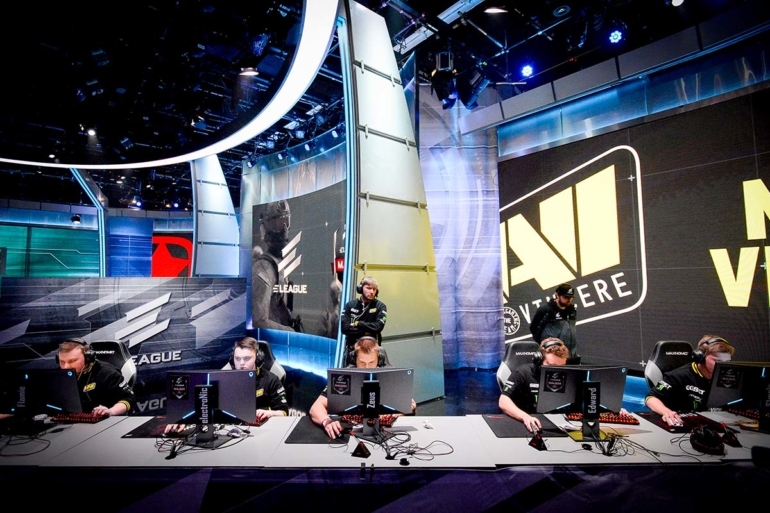 Na`Vi has always been regarded as the strongest team from the CIS region. Throughout all of its iterations, the team has always been able to compete at the very top of international Counter-Strike: Global Offensive, and also houses some of the region’s premier players. Aleksandr “s1mple” Kostyliev is often regarded as the team’s main star, as the Ukrainian player has consistently shown that he is among the best players in the world. But during the opening map against Quantum Bellator Fire, it was veteran Na`Vi player Egor “flamie” Vasilyev that stood out. In fact, the 20-year-old put on a record-breaking performance, as he dropped a total of 30 frags in the game’s first half alone. Putting up numbers like this means, in almost every case, that the opposing team got severely outperformed, and Quantum Bellator Fire were no exception. The underdogs were, in fact, only able to grab four rounds across both halves—two of which were pistol rounds. Accruing a total of 48 kills between all their players, flamie alone sat on 39, showcasing the gap in individual skill between the teams. After being thrashed 16-4 on the opening map, Quantum Bellator Fire showed some signs of improvement on Inferno. These signs were, however, very marginal, as Na`Vi continued to consistently run circles against their opponents, even without flamie putting on a stunning performance. The depth of Na`Vi’s roster was, in this case, truly showcased on Inferno—as neither flamie nor s1mple lead in terms of kills. Instead, it was Na`Vi veteran Ioann “Edward” Sukhariev and Denis “electronic” Sharipov that lead the way. In that sense, Quantum Bellator Fire were always going to have a tough time, and it showed as Na`Vi closed out the series with a 16-7 scoreline.